EMP is a leader in thermal management. It produced the Mini-Hybrid® system which eliminates engine overheating, particularly in start-stop conditions. Mini-Hybrid® benefits also include reduced emissions, improved fuel economy, and more power to the wheels. EMP has also created aftermarket systems, as well as powerful alternators to accommodate the unique power needs of refuse. Based in Escanaba, Michigan, EMP’s products are used globally by major diesel OEMs and hydraulics manufacturers. EMP's Advanced Technology - a state-of-the-art cooling solution - is a proven capability being used by America's largest fleets. The Mini-Hybrid® after-market system efficiently manages engine temperature and debris, thereby maximizing the uptime of your fleet. 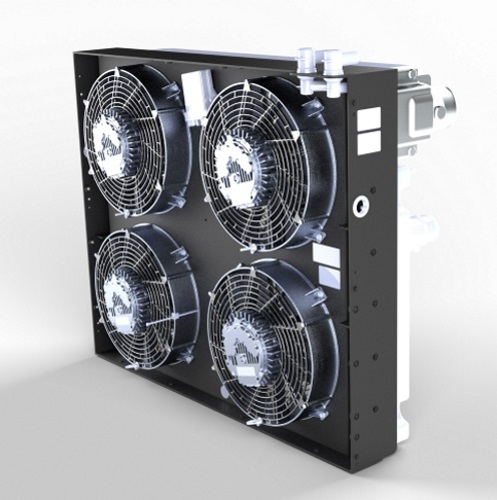 EMP's unique Mini-Hybrid® electric fan design outperforms mechanical fans resulting in significant fuel savings through reduction of parasitic load. The Mini-Hybrid®'s fully reversible fans are proven to keep radiators clean requiring virtually no preventative maintenance.